Majestic’s mechanics and technicians offer a wide range of car repair and automotive services to clients all across Eastern Idaho. See below for a list of some of our outstanding services. 4WD vehicles are a great asset in slick conditions. They allow for greater traction then 2WD vehicles. These systems are usually very reliable especially when they are maintained correctly. Here at Majestic Service and Repair we can keep your 4WD system maintained and working properly. And in the event the system does fail we have the latest technology and highly trained technicians to diagnose and repair the problem quickly and efficiently. Let Majestic Service and Repair help keep the heat out during the summer months. We use the best and newest equipment to test for leaks, evacuate and charge you’re A/C system. We are able to repair receiver dryers, accumulators, orifice tubes, condensers, compressors, evaporators, and all other A/C components. Moisture is one of the leading causes for brake system failure. And with today’s Anti-lock Brake Systems (ABS) the repairs can be costly. Flushing the brake fluid regularly can greatly reduce the chance of brake system failure. The braking system is one of the most vital systems of your vehicle. Brake components consist of pads, shoes, rotors, drums, master cylinder, slave cylinder, hydraulic lines, and calipers. One of brake fluids characteristics is to absorb moisture. This can cause corrosion of brake component such as calipers and critical (ABS) Anti Lock Braking System which will lead to costly repair or replacement. We recommend brake fluid flushing on regular intervals after testing fluid to determine condition. A clutch has many components such as a clutch disc, pressure plate, pilot bearing or bushing, throw out bearing, cable, master cylinder, hydraulic lines, slave cylinder, transmission input shaft and clutch pedal. We will perform a comprehensive inspection to any and all components to determine the source of the problem, so that the clutch may be properly repaired or replaced. Deposits and corrosion can build up over time inside the cooling system causing poor cooling system performance. At Majestic Service and Repair we use chemicals and additive to flush and help improve the performance of this crucial system. Recommended every two years or on fluid condition. The electrical system is the most complex system in the vehicle, with many modules, relays, computers, fuses, batteries, alternators, and starters. At majestic we can perform the most complex electrical repairs. Let our experts take care of your electrical repairs today. Is your “Check Engine” light on? Is your fuel mileage not quit what it was? Or maybe your engine is not running as well as it use to? Majestic Service and Repair can help with these and all other drivability problems. We have state-of-the-art diagnostic equipment and highly trained technicians to get to the bottom of the problem fast and efficient. Engines have many moving parts. Depending on the mileage, your vehicle may have exhausted the useful life of its engine. The Majestic team will perform a comprehensive check to evaluate the condition of your engine. At that point we can make an informed decision on the best way to proceed with a repair. Over time your intake and injectors can become dirty and clogged causing poor performance and throttle response. Here at Majestic Service and Repair we use the latest equipment and chemicals to clean the intake, injectors, and fuel rail in your vehicle. Today’s transmissions are much more high-tech then in the past. At Majestic Service and Repair we have the newest diagnostic equipment and highly trained technicians. 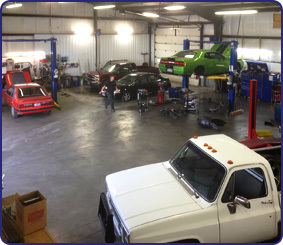 This allows us to quickly diagnose any transmission issue, be it mechanical or electronic. Power door locks and power windows are common systems that fail. Failures can be as simple as the switch. But as difficult as the window motor, window regulator, or door lock actuator. All of which live inside the door. When your windows or door locks stop working give us a call. Keep your power steering system working properly by replacing the old fluid with fresh new fluid. At Majestic Service and Repair we use high quality equipment and chemical cleaners to clean and flush the power steering system. Recommended every two years or on fluid condition. The cooling system contains many components such as radiators, hoses, water pumps, fans, hoses, thermostats. The cooling system is a critical system that keeps the engine within a specific temperature range. The potential for engine damage due to poor cooling system operation or component failure is high. Although we can provide repairs when failures occur, we would prefer to help our customers by providing preventive maintenance such as hose replacement or coolant flushes, before failures occur. Timing Belts are utilized in many 4 and 6 cylinder engines. Timing belts are used to move one or more camshafts by the crankshaft. These belts should be replaced along with timing belt idler pulleys and tensioners as well as guides on regular intervals. Those intervals vary from 60,000 to 105,000 miles depending on year, make, and model of your vehicle. Many tune-up components once consisted of: spark plugs, wires, distributor cap, rotor, ignition module, ignition coil, coil boots, and as old and ignition points that the dwell has to be set on. With today’s sophisticated cars and trucks many of these components no longer exist on modern vehicles. If your check engine light comes on it may be related to one of these tune-up components. We can accurately diagnose and repair any of your drivability concerns at Majestic Service and Repair.